Minnie’s artwork reflects the oldest form of body art in the world. It is the body painting for the women’s ceremony – Awely. The women paint each other up using coloured ochre which has been ground up and mixed with animal fat. Using a flat stick they apply the ancient design to the chest, shoulders, breasts and thighs of each other. When all the women are ready they dance and sing the ancient songs associated with their Awely. Aboriginal body painting is an ancient tradition which carries deep spiritual meaning. An aboriginal person is not allowed to use the designs belonging to another group. They must respect the ancient traditions and patterns of everyone. 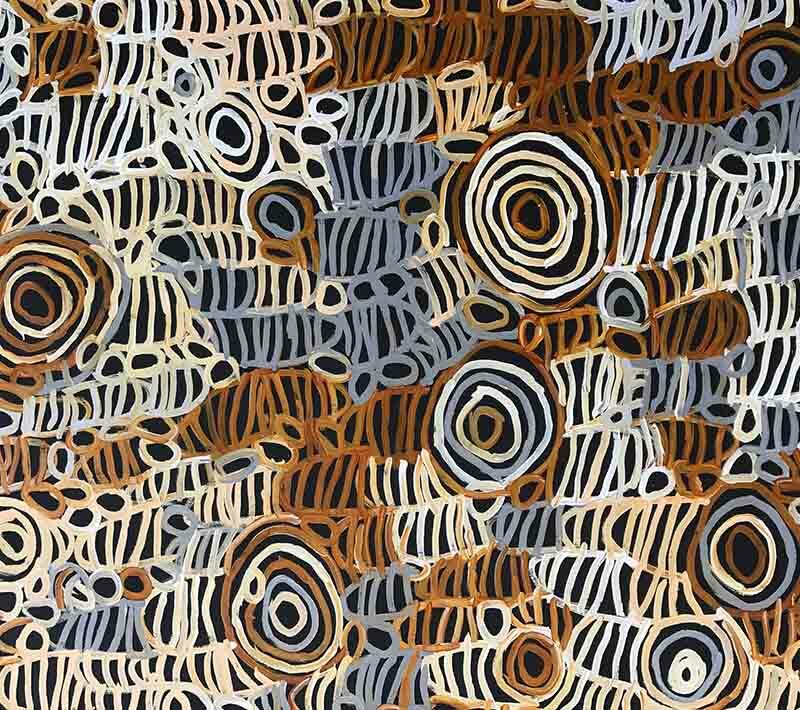 The designs reveal their relationship to their family group, their social position, ancestors, totemic fauna and tracts of country. Once “painted up” the women begin the spiritual dance and song of their ancestors. Dancing can go on for hours. 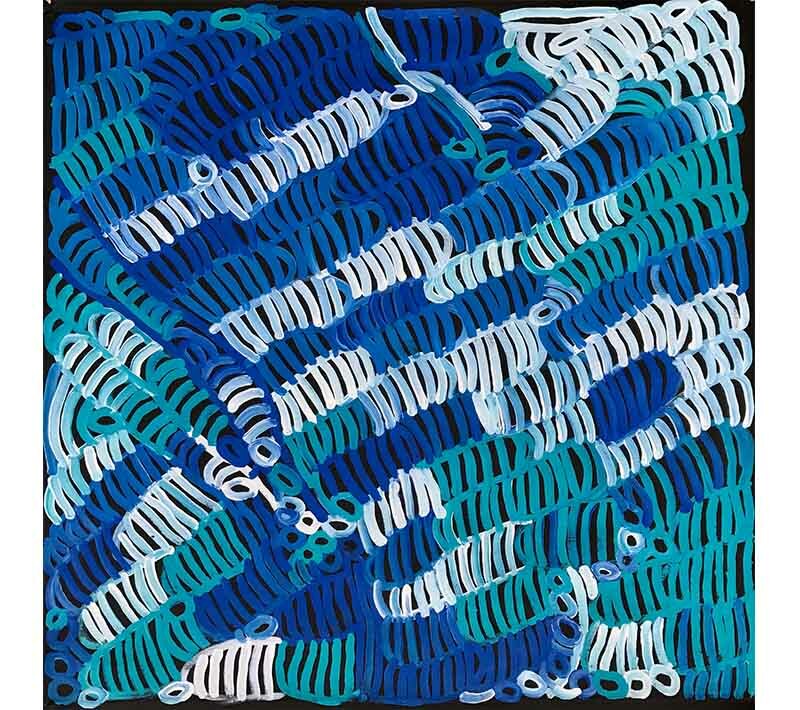 This is the art of Minnie Pwerle – the ancient ceremony of “Awely” which has been handed down, unchanged for tens of thousands of years. Minnie was born c. 1920 and passed away in 2006. We have a selection of beautiful works by Minnie. Please contact us if you would like further details. 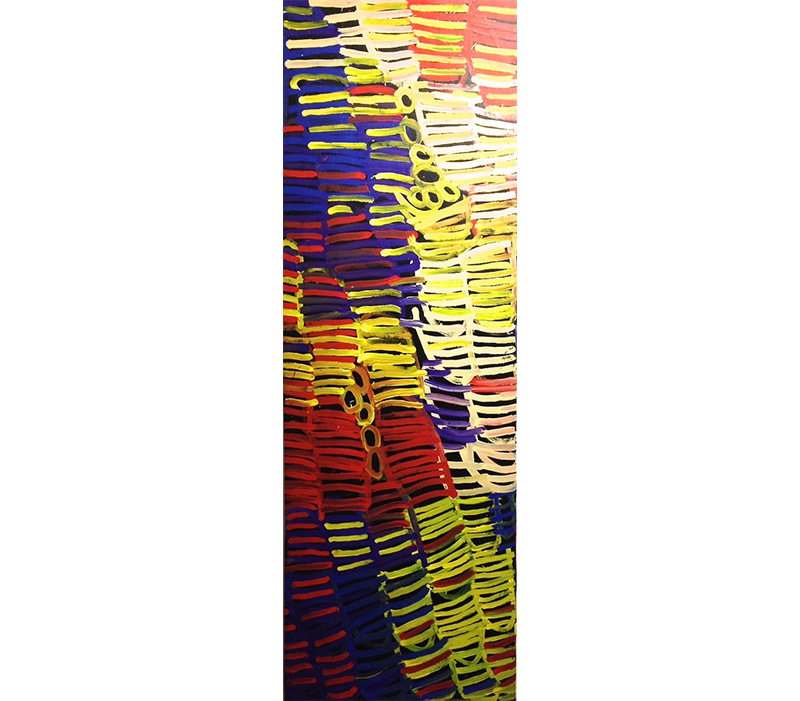 BELOW: This striking work is by Minnie’s sister, Emily Pwerle. 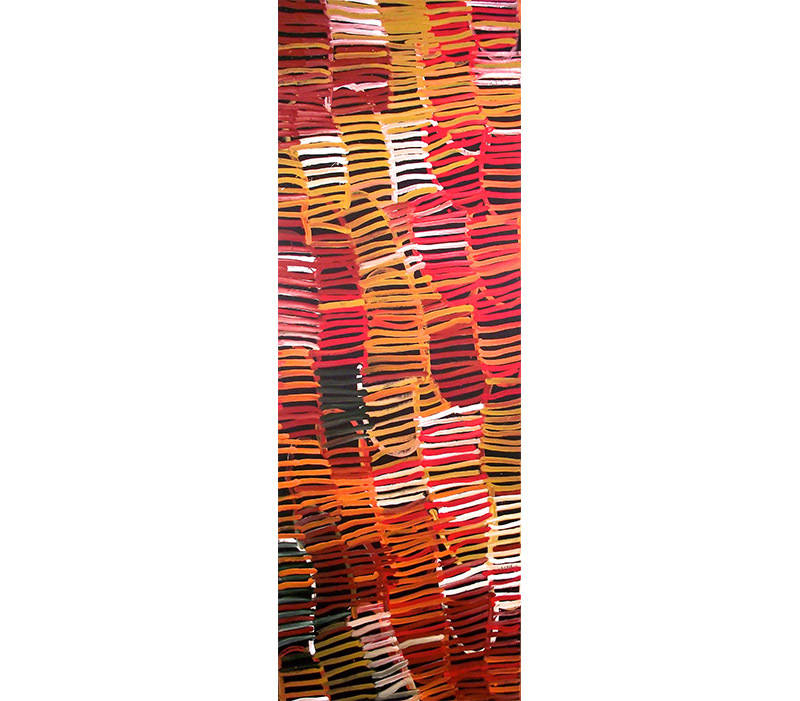 “Ntang Awely”, 120 x 45cm, Painted in 2005, $1,200, #1320. 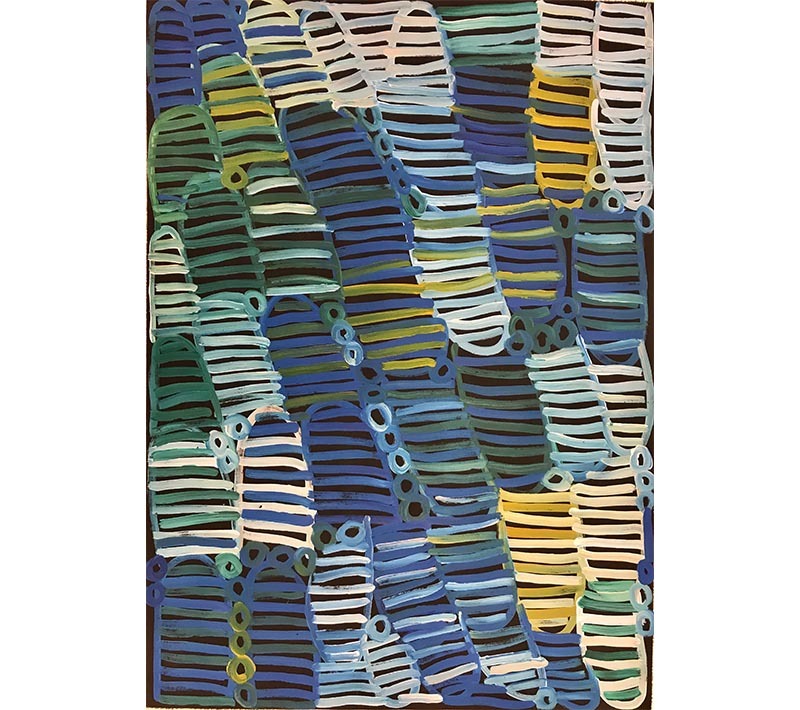 BELOW: This painting is by Minnie’s talented granddaughter Charmaine Pwerle. 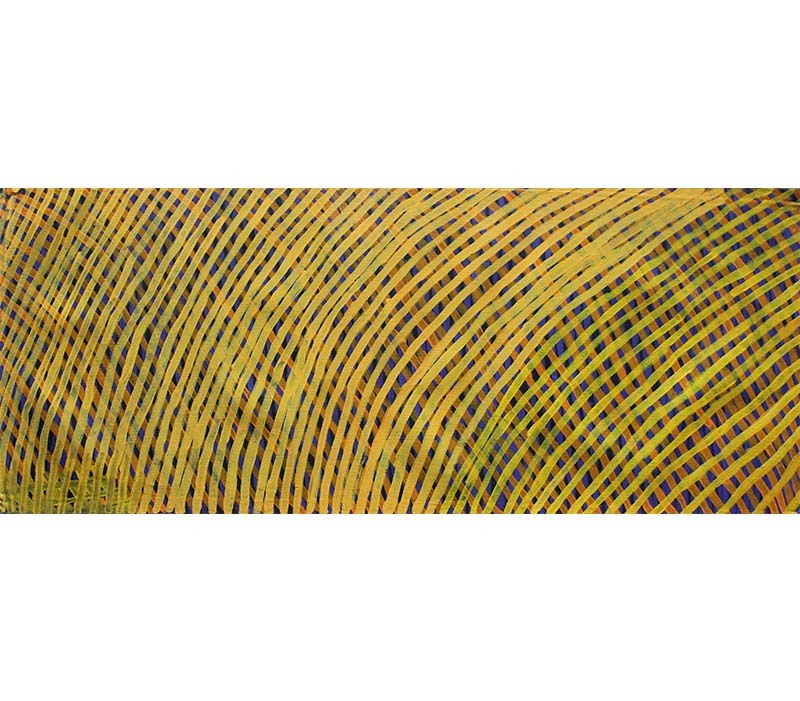 “Awelye”, 120 x 90cm, Painted in 2015, $2,500, #1402. 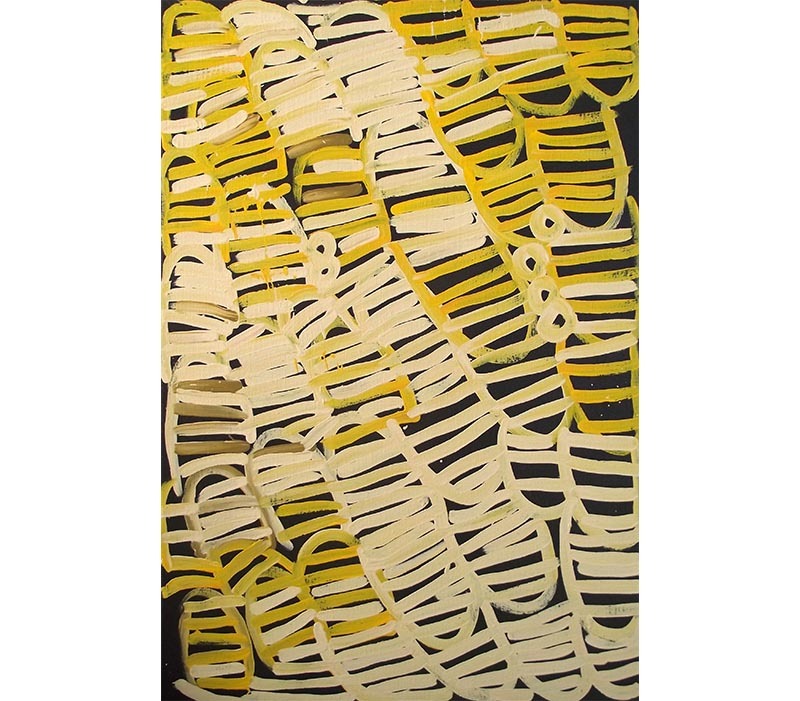 “Awelye”, 90 x 90cm, Painted in 2008, $1,650, #1401.